150 girls applied to become Miss Universe Germany 2014. The 23 best girls were invited to compete in a Skype casting. 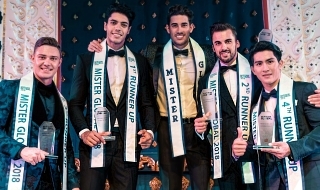 From the Skype casting Kim Kötter, her Miss Universe Germany-team and the main sponsor Ergoline have selected 15 delegates for the next round of competition. But only 10 of them will advance to the final competition. Last edited by Michae on Sat Aug 30, 2014 5:03 am, edited 5 times in total. I see 3 Albanians there. I love Albana Nocaj! On Thursday the online voting on the Facebook site starts. The 3 girls with the most likes will advance to the Top 10-final. So don´t forget to like your favorites to make sure they advance to the final. Will inform you on THursday as soon as the voting starts. Albana Nocaj!!!!!!!!!! I suggested her name here and she applied!! So glad! ticomia wrote: Albana Nocaj!!!!!!!!!! I suggested her name here and she applied!! So glad! There's some great contestants here, IMO. So happy Albana & Martina decided to join! So many pretty girls. But I prefer the beauty Johanna because she has experience in pageants. Juli® wrote: So many pretty girls. But I prefer the beauty Johanna because she has experience in pageants. I hate when people say 'she is better or something because she has experience in pageants'. Miss Universe is for everything and everyone but that. 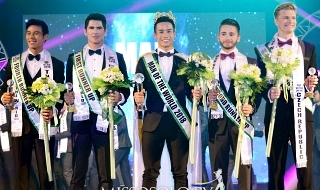 I havent seen in recent years a Miss Universe who took part in another pageant before! Kim Kotter has to give the Miss Germany winner a good trainning intensive if Germany wants to be once again in the radar! 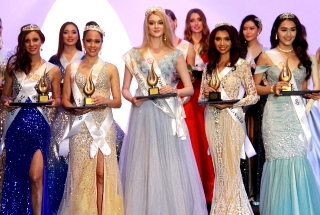 The truth is, that all of them were unplaced while Johanna made top 15 at Miss International, top 15 at Miss Asia Pacific World and some other top placements at minor international pageants. This being said, it's not necessarily true that she will do well at Miss Universe, too. Miss Universe is a completely different level! What the winner needs is an intense training and preparation by her national director... also Johanna would need this. The online voting has started!!!!!!!!!!!!! Please vote and like your favorites!!!!! Dont forget to like your favorites!!!!!!!!!!!!!!!!!!! Susanna, Albana, Johanna, Martina are my favorites. But I think that 3 more girls have potential, hope Germany places... After all, they are the world champions it's fair. Michae wrote: Dont forget to like your favorites!!!!!!!!!!!!!!!!!!! The three girls with the most LIKES automatically advance to the Top 10-Final. The other 7 will be chosen by the judges. I love Martina physically but I do not like her personality at all. Hope she loses.